It is said that there is a magic mirror, which is closely related to the destiny of numerous beautiful girls. If you obtain it, you will be able to walk into the world of the beauties and experience a magnificent journey. Among those girls, there is dark elf, who was born in a noble family but has a rebellious nature, she enjoys bring the fairness and justice to people by robbing the rich and help the poor . 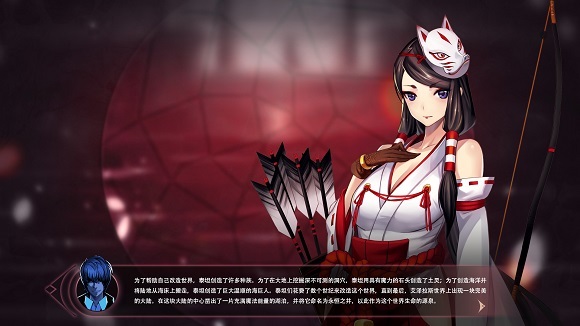 There is the shrine maiden, who keeps Kyoto in peace will serve the Gods for her whole life. There is the zombie girl, who still maintains her human emotions and desires. This is a game that combines gem elimination and simple visual novel elements. If you want to learn more about those girls, you need to defeat them during a battle of gem elimination. If you want to win the battle, in addition to mastering the elimination skills and creating more skill gems, use the skills and props at crucial moments. Your choices will ultimately decide their fate.